Anyone who tells you size doesn't matter is a liar. Case in point: my mini nonstick frying pan ($10.99). Size is everything when it comes to this frying pan, which, as you can see, is only 9.5 inches long. NINE AND A HALF. It's teensy!!! 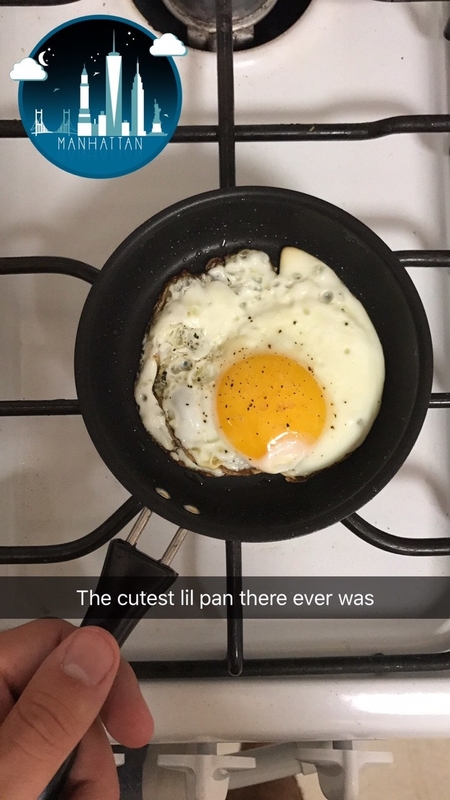 I don't know about you, but I'm a sucker for miniature products, and this tiny pan is so adorable I could crush it. I live in a small Manhattan apartment that doesn't have much counter space OR a dishwasher, so the joy of having small-but-useful kitchen tools is up there with my train actually being on time in the morning. Because storage in my kitchen is limited, I cherish anything that doesn't take up a lot of room in my sink or cabinets. This one-egg frying pan is the stuff tiny-kitchen dreams are made of, y'all. It's effective and compact. Also, when I get home from work, I'm usually way too tired to cook a whole meat-based dish, but I still want something substantial. 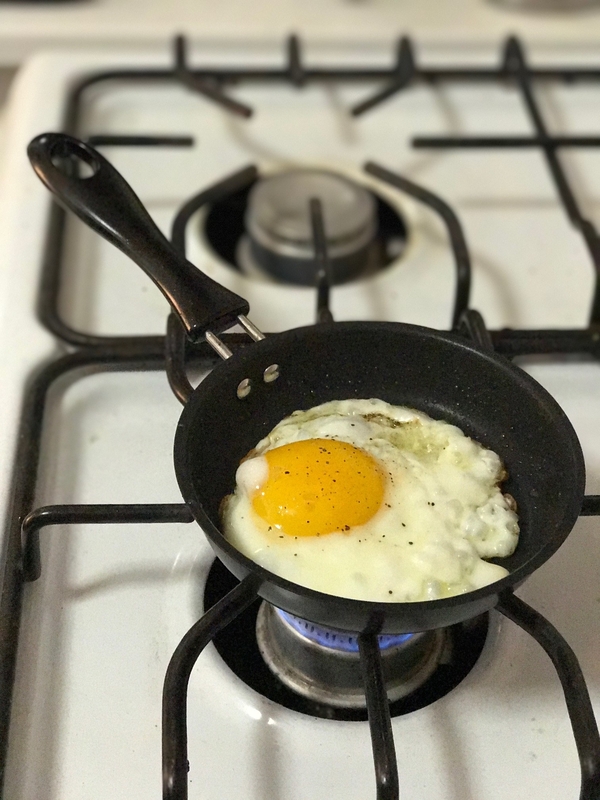 This pan lets me cook a perfect lil' egg I can quickly add on top of pasta, a salad, or a breakfast sandwich. 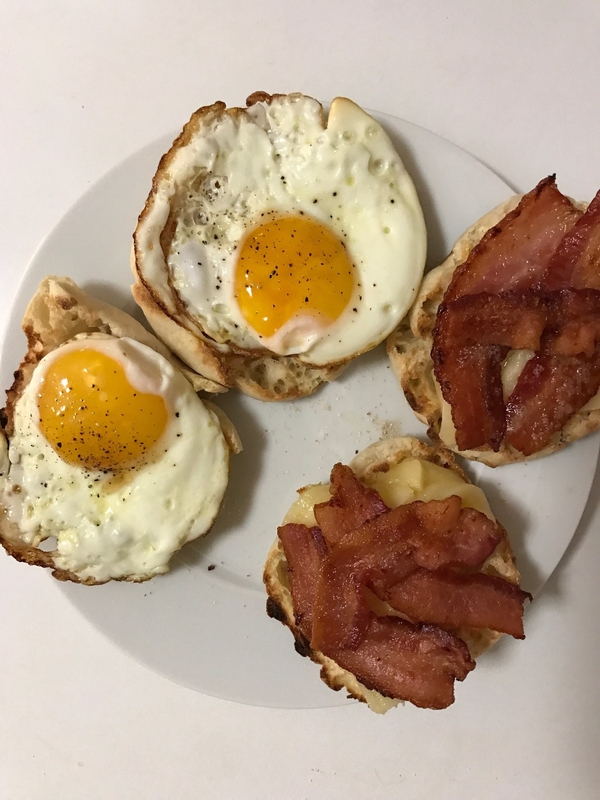 I add a teaspoon of olive oil to the pan, turn up the heat to medium-low, crack the egg into the pan, let it cook for around three minutes, and BAM: I have a sunny-side-up egg that's just right. 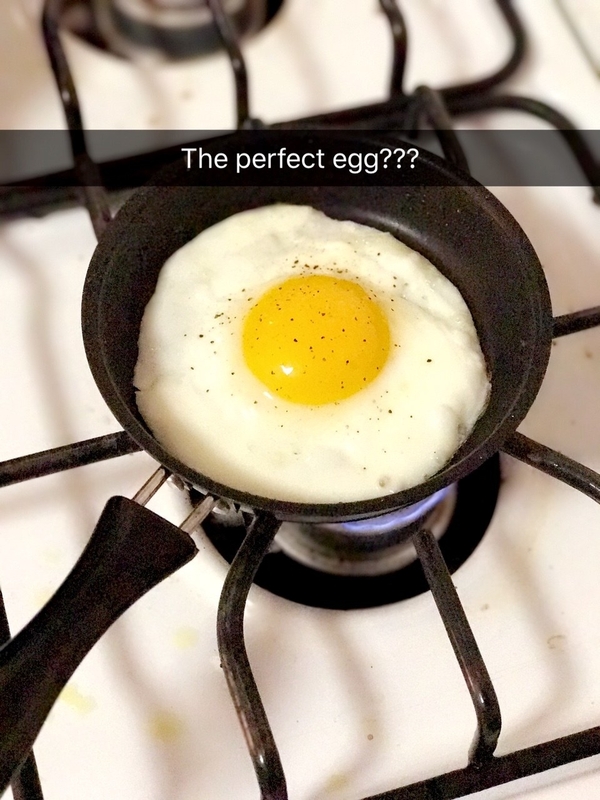 If you saw me trying to cook an egg in a larger pan, you'd understand why this is such a big deal. Instead of my typical Yolk Explosion™, I now have a perfectly crisp, normal-sized egg with an appearance that doesn't activate my gag reflex. I can actually cook with this thing! When I'm not feeling lazy AF, I also use the pan to make a nice crepe, burger, chicken breast, or side of veggies. Whenever I'm cooking for one, I use this little pan because it doesn't overwhelm an amateur chef like myself; it helps me make the exact portions I need for my dish. It also takes up less space on the stove if I have other things boiling or cooking (like the bacon I made for those breakfast sandwiches). The fact that it's nonstick (and, again, so small!) means cleanup is quick and easy too — the egg slides right off without leaving behind a literal hot mess. TBH, if you were out of oil and all you did was throw an egg on there, you could get away with leaving it unwashed (I definitely don't know this from personal experience and how dare you assume that). This pan is a true gift. Oh, and it's cheap AF: Get it from Amazon for $10.99.